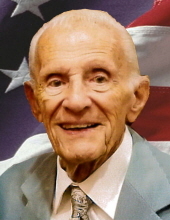 Edward Warner Mix, 94, passed away February 8th, 2019. He was born in Chicago, Illinois where he lived until he was 14 years old. After moving to California with his family, Ed attended Long Beach Polytechnic High School. Upon graduation Ed enlisted in the Marine Corps and served his country at the Battle of Iwo Jima. After his discharge from the Marines, Ed worked at Mix Tool and Die while attending Art Center. He met Rosaylene Paulson and they were married in June of 1951. In 1955 Ed and Rosaylene moved to La Mirada, CA. Ed had a long career as an Aerospace Engineer working for Boeing, Rockwell International, McDonnell Douglas, Air Research and others. He worked on designs for the Apollo missions, the Space Shuttle, commercial aircrafts and private jets. Ed was highly regarded for his ability to solve complex design and engineering problems earning him the prestigious Engineer of the Year Award for his work on the Space Shuttle project. In addition to his engineering and design talents, Ed was an artist, a painter and a pilot. He enjoyed his retirement travelling with Rosaylene until her passing in 1997. Ed leaves behind a brother, daughter, son in law, granddaughter, and several nieces and nephews who are all saddened by his passing. To send flowers or a remembrance gift to the family of Edward Mix, please visit our Tribute Store. "Email Address" would like to share the life celebration of Edward Mix. Click on the "link" to go to share a favorite memory or leave a condolence message for the family.